The 5:4 doormat has been inundated with a stream of new releases falling onto it through the last few weeks, many of which are outstanding and deserve fuller treatment in due course—but to at least get the ball rolling, here’s an overview of some of the best, starting with chamber music. That most intense of musical environments, the string quartet, is represented in a pair of blisteringly vivid new recordings. 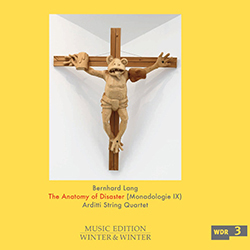 Bernhard Lang‘s The Anatomy of Disaster (released by Winter&Winter) exists in a strained relationship to its inspiration/point of origin, Haydn’s Seven Last Words from the Cross. The quartet regularly feels as though it’s trying to break free from any hint of the Haydn; elsewhere, attempts to interact have all the ease of fitting a square peg into a round hole, with the equivalent amount of success. Lang’s focus seems to be less on a contemporary rethinking of Haydn’s music than an examination of the dramatics that arise from a rather doomed engagement with it. Doomed it may be, but the quartet’s zig-zagging between ferocious indignance & dogged persistence (nine movements!) has a veracity and eloquence that’s exhilarating and really rather moving. Performed with utter conviction by the Arditti Quartet, it’s hard not to hear a recording like this as anything but definitive. 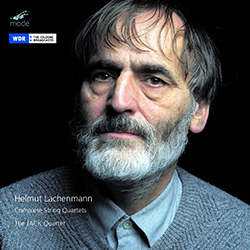 Occupying an entirely different soundworld are the three string quartets of Helmut Lachenmann, released by Mode in a wonderful new complete recording by the JACK Quartet. These pieces present the same kind of discombobulating paradigm shift as Penderecki’s first quartet did at the turn of the 1960s. Pitch, harmony, rhythm: all these are of far less importance here than considerations of timbre, dynamic and the juxtaposition of these elements. Such radical chamber music as this can take time and effort for acclimatisation, exacerbated by Lachenmann’s rarefied sense of intimacy in all three pieces. 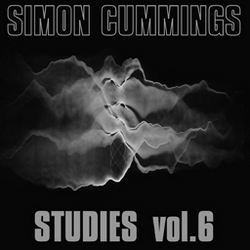 These are deeply strange abstractions, by turns rude & crushed, constantly questioning whether the quartet acts solipsisitically or with a communal mindset, whether material is an event in itself or the anticipation of an event (much of the music seems to teeter on the most agonising of tenterhooks). Yet the sheer imagination brought to bear on these four instruments is incredible, forming something between a narrative and an unstoppable stream of consciousness, utmost compelling. 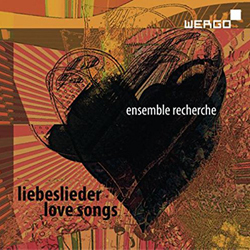 Ensemble Recherche‘s exploration of Love Songs (Wergo) is so mammoth—30 works lasting almost 2½ hours—that it’s a little hard to know where to begin. Being love songs, many are occupied with melody. Hans Abrahamsen’s treatment is especially beguiling, so ethereal that what might be construed as melodic remains tantalisingly just out of reach; Rolf Riehm does something similar, his weird but lovely brand of ethereality arising from extreme high and low registers. Enno Poppe does the opposite, with a demonstrative, glissando-driven paean emerging from a cello C-string and melding with bass flute and bass clarinet—just gorgeous. Jörg Widmann’s is at an entirely different extreme: hugely dissonant, harsh textures that appear to have a melody within them, but which is overwhelmingly destroyed in a relentless percussion onslaught; there are traces of intimacy, but the level of anger captured in the piece—particularly when presented as a ‘liebeslied’—is deeply unsettling, and perhaps goes some way to explaining the sentiments in Widmann’s Teufel Amor, heard at this year’s Proms. As for the rest, while it’s fair to say that, in a number of cases, the pieces don’t exactly make one want to form a queue for a relationship with their respective composers(! ), there’s much that’ll tease and provoke among them. Yet, bearing in mind once again the theme of all these pieces, it’s interesting to observe just how reluctant most contemporary composers are to allow consonance into their music. But then, what’s love got to do with it? 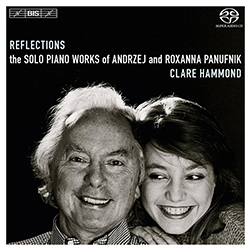 The centenary of Andrzej Panufnik‘s birth has been marked with a number of new releases, including an exploration of his piano music by Clare Hammond, titled Reflections (out on Bis). 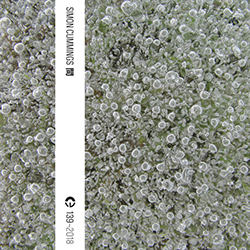 Many of these centennial releases feel compelled to combine Panufnik’s works with those of his daughter Roxanna, which may sound good on press releases but, considering their differences in compositional style, makes for an overall difficult and frustrating listening experience. Her works on this album are almost uniformly bland and flat (even the arrangements of her father’s music), feeling cerebral when they clearly want to be heartfelt, a shortcoming that even Hammond’s exquisite playing can’t quite overcome. Andrzej Panufnik’s music is far more successful, and in some ways difficult to negotiate. The Twelve Miniature Studies perhaps exemplify best the dichotomy, Hammond having to switch back and forth between opposing personas in each movement, stirring things up and then sensitively smoothing them over again. Panufnik’s use of harmony is far from modernist, but often exhibits an interplay of tonalities that results in a delightfully poignant sense of blur. The title work, which closes the album, is the most outstanding, a powerful lengthy study where a line becomes an onslaught, splintering with anger before subsiding into a kind of peace, gently troubled by the echo of undercurrents and small ripples.